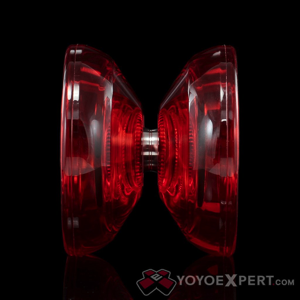 YoYoExpert Blog & Yo-Yo News – The New Redesigned C3yoyodesign SPEEDAHOLIC! The New Redesigned C3yoyodesign SPEEDAHOLIC! The original C3yoyodesign Speedaholic changed the way we looked at plastic yo-yos. It was one of the best performing yo-yos for the price, and when we heard that C3 was going to give their infamous plastic a remodel we couldn’t wait to see it! Get ready for the new and improved Speedaholic! The new Speedaholic design was based on the familiar organic V-shape of the original, but with a few tweaks. C3 gave it a more angular profile with a larger diameter, lowered the walls, and beefed up the rim weight to bring the level of performance up to modern standards. They even got rid of the old sticker labels and replaced the hub with an amazing metal fingerspin cup! With all the updates and improvements, the new Speedaholic plays absolutely fantastic! It has a super stable feel on the string, a powerful spin through combos, and as the name implies – It moves FAST! Fitted with a grooved bearing and some killer fingerspin capabilities, this yo-yo is sure to impress!